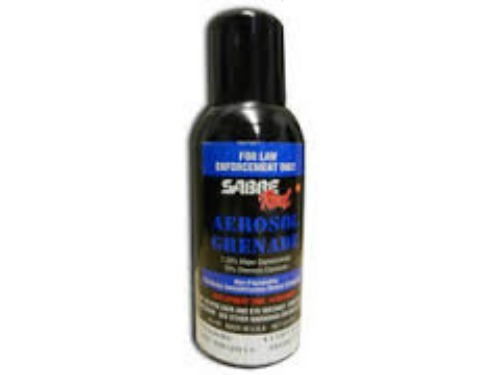 Sabre Red aerosol grenades are ideal for crowd control, deny areas, and cell extractions.Delivering up to 200% more OC per second than hand held sprays, Sabre Red aerosol grenades provide a practical and cost effective tool to disperse, deny, and extract. Perfect for SWAT, ERT, CERT and Armed Forces operations, the very portable aerosol grenades provide immediate deployment and deliver a pungent 10% OC (1.33% Capsaicinoids). Can be placed upright for a vertical deployment and distribution pattern or placed on its side or tossed into a cell or room for a horizontal deployment and distribution pattern The 5.0 oz. canister empties in 14 seconds and covers up to 22,000 cubic feet in less than one minute. NOTE: Pepper Sprays CANNOT be shipped to New York, Massachusetts, Internationally, or by Air. 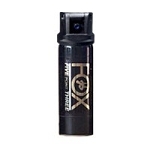 Our pepper spray has been stored in a climate-controlled facility. 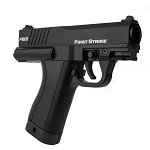 Therefore, it has not been subjected to harsh warehouse environments that have the potential to diminish the potency of pepper spray over time. By keeping our pepper spray in a climate-controlled environment, the pepper spray that you get from us should be as potent as it can be. Further, pepper spray has an expiration date. While it may remain potent enough to work beyond that date, it generally is a good idea to keep that one as a backup for a little while longer but get a fresh primary pepper spray as the expiration date nears.